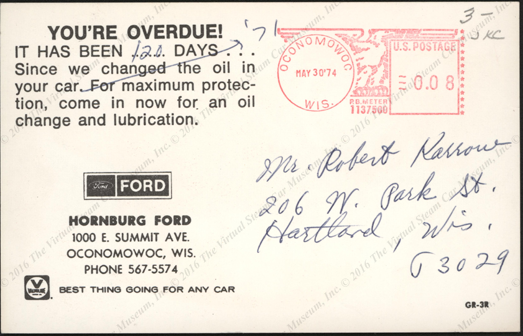 In the process of searching for steam automobile related materials, including postcards, one often sees electric car postcards. On occasion, when the price is very low, the author's resistance collapses and he makes an impulse purchase. This Woods Electric Car advertising postcard was shot at the University of Chicago in front of the Anatomy Building on 57th Street. The author's daughter graduated from the University of Chicago with double honors in 2013. Hence the impulse purchase at a postcard show. 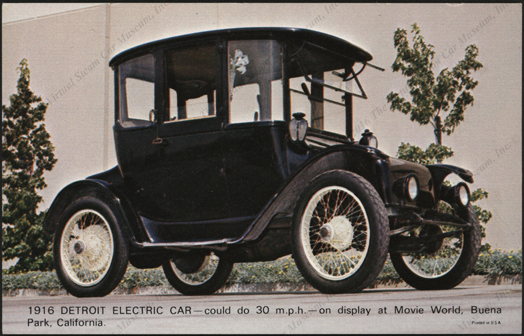 This Woods Electric Car advertising postcard was shot to the right of this image. This is Cobb Gate at the left and the Anatomy Building in the center. Taken in 1897. Courtesy, The University of Chicago Library. On February 12, 2017, the author's wife and "The Child" graciously allowed him to spend two hours at the Glendale, CA Post Card Show. 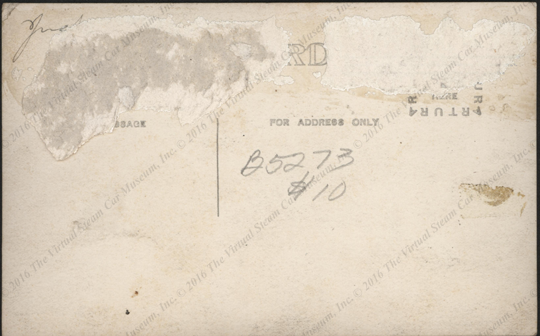 Because "The Child" had attended the University of Chicago (see above), the author felt compelled to purchase this Woods Electric Car postcard as a memory of the one and only family visit to a post card show. This University of Chicago home study advertisement appeared in the same January 1917 Harper's Magazine as did an advertisement for the Doble steam car. The webmaster's daughter graduated from the University of Chicago with Double Honors, including the undergraduate French Prize. 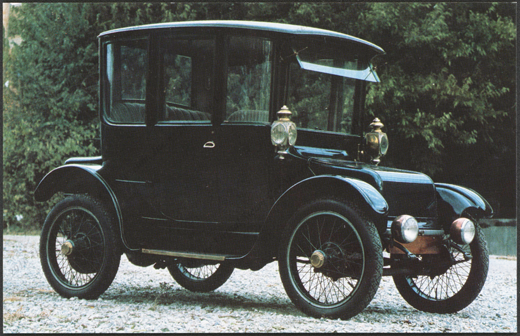 This 1902 Columbia Electric Vehicle Company advertisemen appeared on the back of a steam car advertisement. 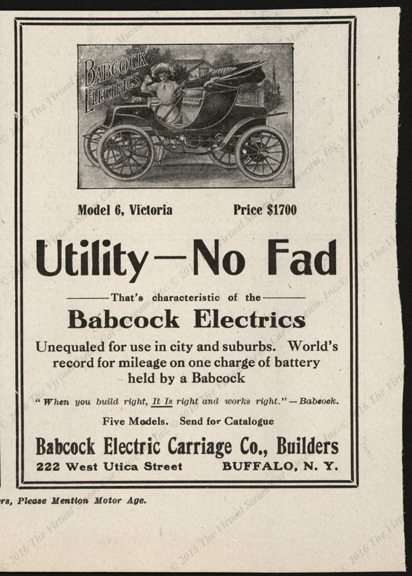 This 1908 Babcock Electric Carriage Company magazine advertisement appeared in Motor Age. 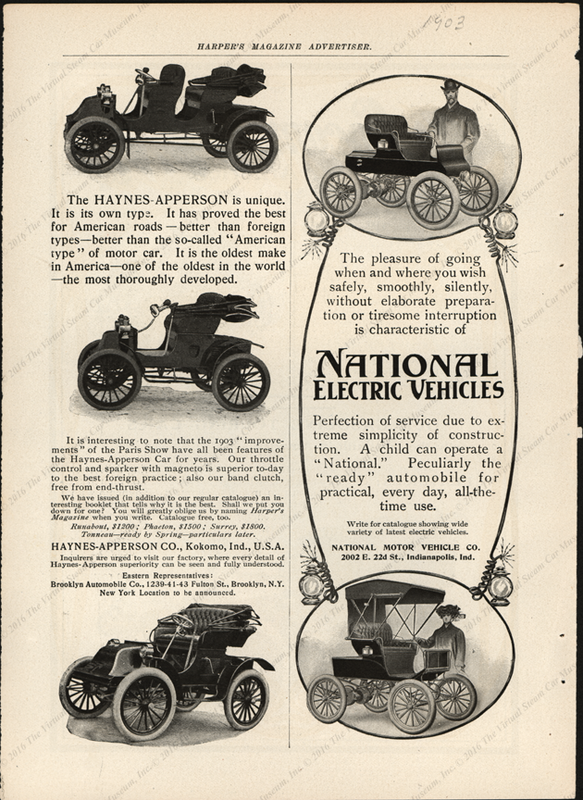 This 1912 Anderson Electric Car Company advertisement appeared in a 1912 issue of Everybody's Magazine on the reverse of a steam car advertisement. 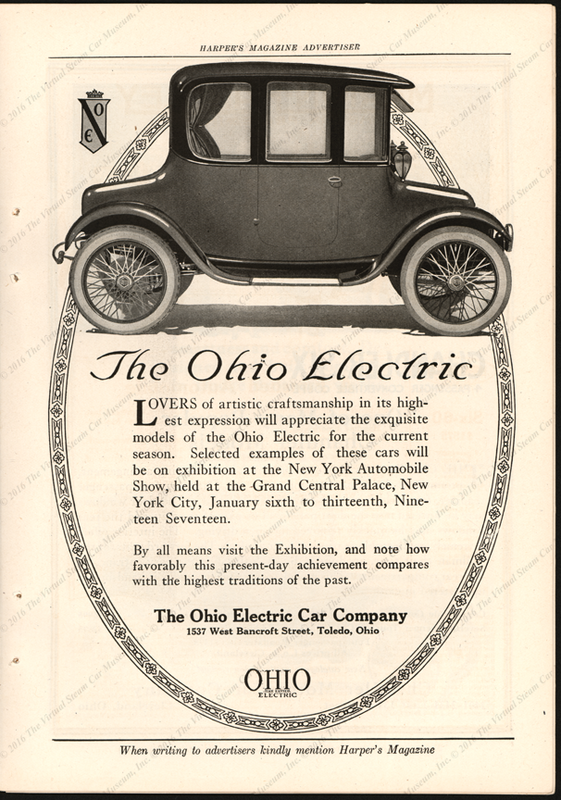 This January 1917 Ohio Electric Car Company magazine advertisement appeared in Harper's Magazine along with a two-page Doble advertisement. 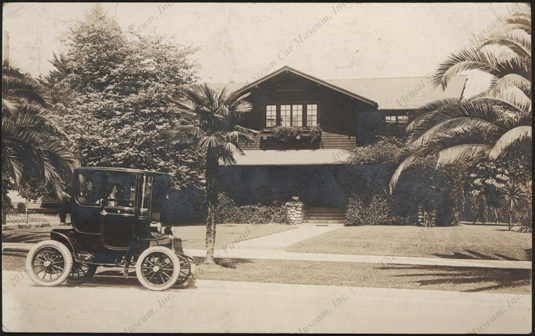 This unidentified elctric car appears on a real photo post card (RPPC) printed sometime after 1907. 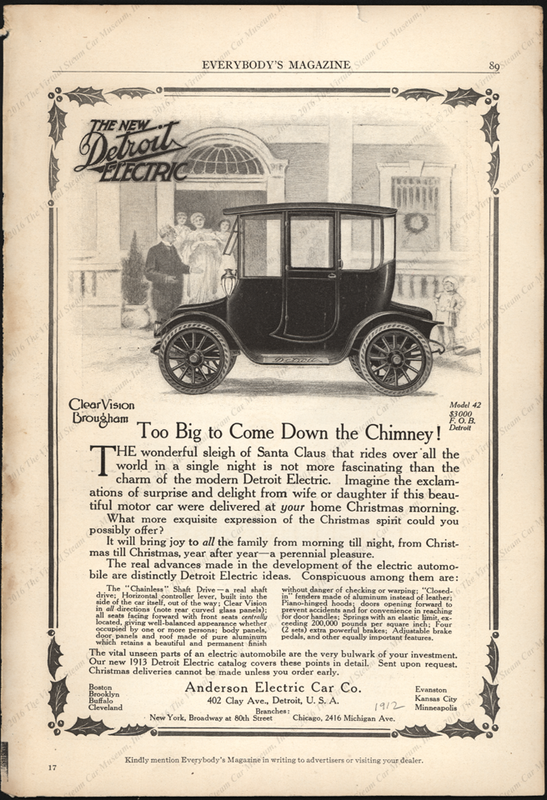 This 1912 Detroit Electric Car appeared on an advertising postcard for Hornburg Ford in Oconomowoc, Wisconsin. 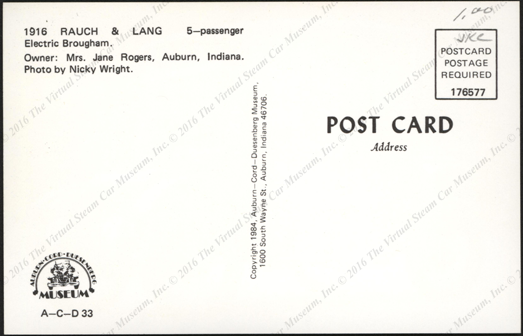 This 1916 Raunch and Lang five-passenger Electric Broughm was owned at one time by Mrs. Jane Rogers of Auburn Indiana. G Gardner, Julia to Donald Hoke, email October 25, 2016. University of Chicago Library. Contact us if you have additional information about electric automobiles or if you have questions.